Sail the Maldives in style! 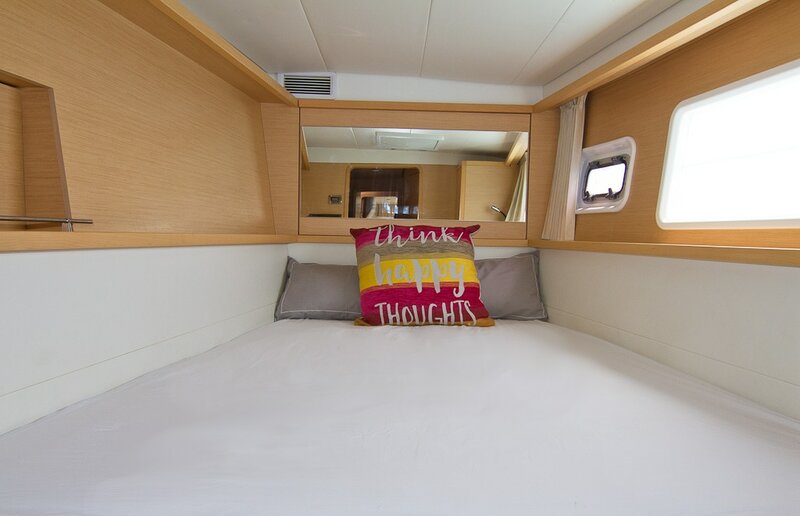 Shantaram is a superbly fitted, stable and spacious Lagoon 450 catamaran - with all the nice little luxuries that make your all-inclusive Maldives holiday extra-special. 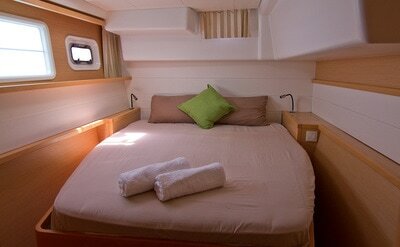 She has 3 comfortable double cabins, and plenty of outdoor space to spread out and relax. The large cockpit has a lovely dining area, the perfect place to enjoy your meals; and a big daybed to lie back and read a good book. Head up to the flybridge for the most stunning views, and enjoy the 2 large sunbeds and work on that golden tan. 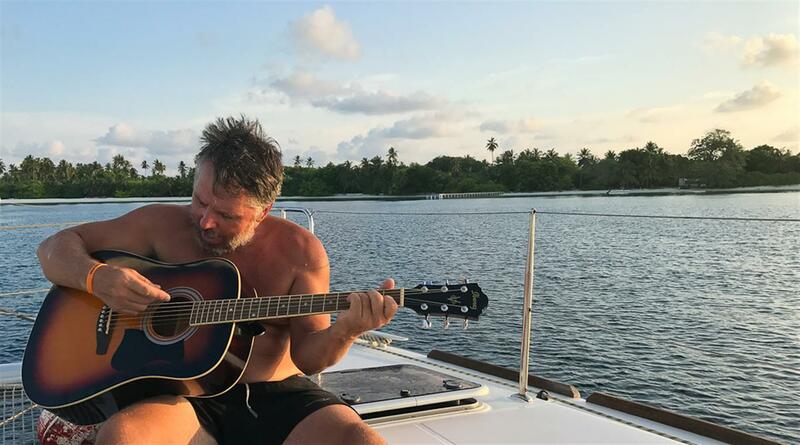 ​The spacious seating area up front is perfect for a sunset drink or to sit and strum the guitar. Lie back and relax on the two big trampolines watching the dolphins surf the bow wave and in the evening gaze up at the millions of stars. 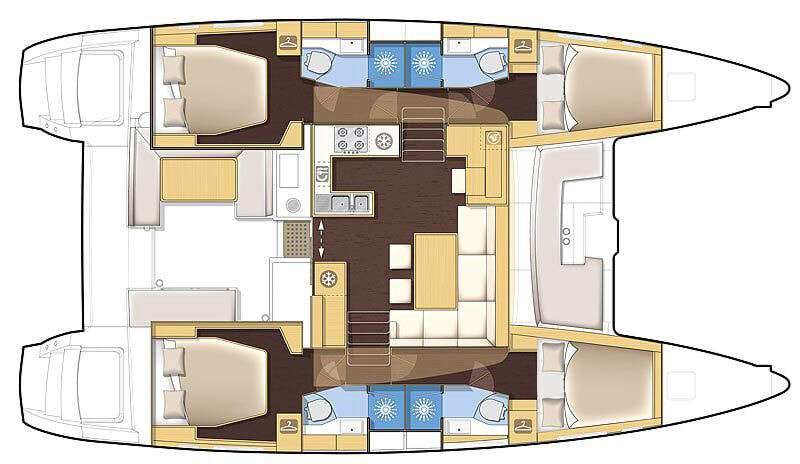 ​Inside you'll find a roomy cockpit with fully equipped galley and dining area, and navigation station. All the nice-to-have extra's like a flat screen TV to watch your favourite movie, a Bose sound system and ipod to keep the music flowing, an ice maker to ensure your cocktails are always perfectly chilled and a filter coffee machine for your coffee fix (just bring your favourite ground coffee). ​We love food! So being able to offer really good food is important to us. There'll be a mix of Asian and Western cuisine - everything from delicious Thai food, a juicy South African steak (when available), homemade thin crust pizza's, scrumptious wraps or perhaps freshly caught fish cooked on the barbecue accompanied by local salads and freshly baked bread. ​We even grow our own mint plants to make sure you have the perfect mojito! ​Shantaram has on board, free of charge, a selection of soft drinks and fruit juices, drinking water, coffee and tea for your Yacht Charter Maldives experience. A full range of alcoholic beverages and cocktails are available for purchase. 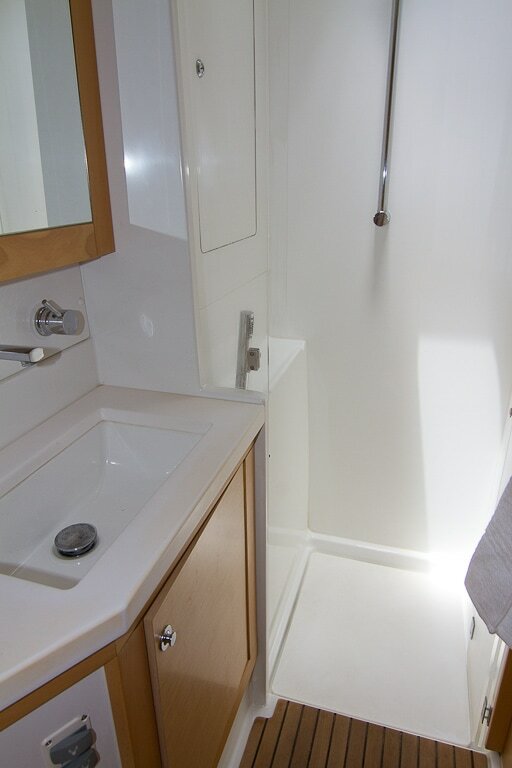 Shantaram has 4 luxurious en-suite cabins, 3 of which are available for guest use. 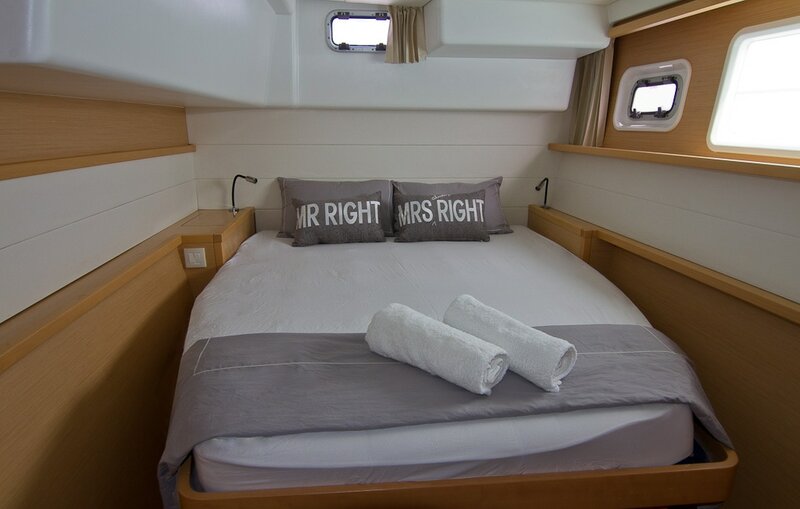 The fore cabin has a double bed, whilst the two aft cabins offer queen-sized berths with semi-island beds allowing for easy access. 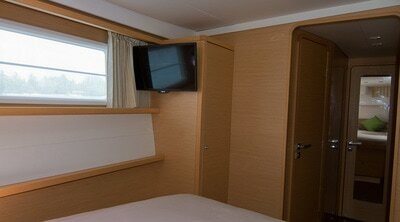 The master cabin boasts a flat screen TV. One of the aft cabins can be converted to twin share by means of a wooden divider on the queen bed so that it can accommodate two single guests if required. All cabins offer soft linen, and super comfy quality mattresses for a wonderful night's sleep. 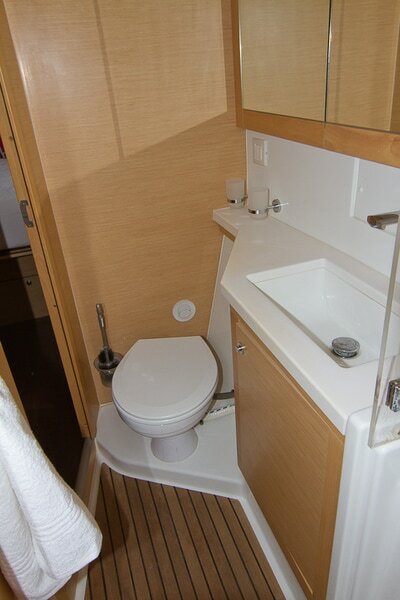 Each cabin features it's own independently controlled air conditioning unit, an oscillating fan and has ample ventilation from roof hatches and side portholes. Large windows allow for plenty of natural light - and great views. 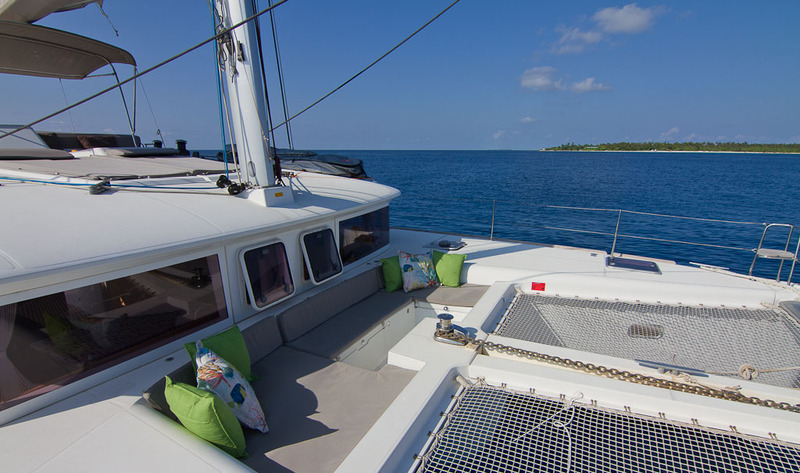 Shantaram is the perfect yacht for your private Maldives cruise, fully equipped to let you travel in luxury on your tropical island vacation. Explore deserted beaches, snorkel the aquamarine waters of the reefs, ride the uncrowded waves or cast a line into the abundant waters. 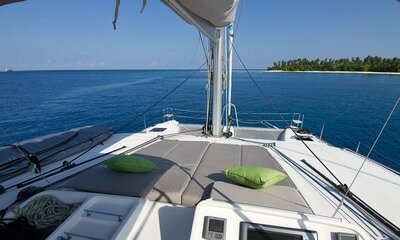 Maldives is your dream holiday destination. 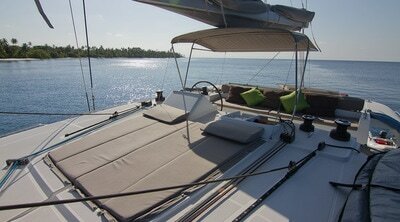 Shantaram is equipped with a full range of water toys. 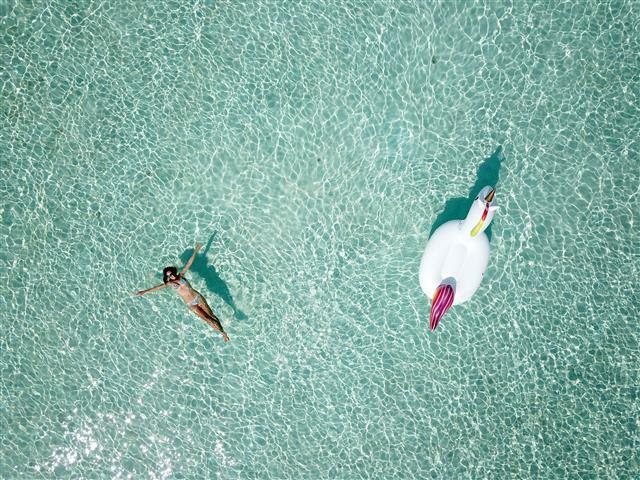 There is a selection of snorkeling equipment available, an inflatable stand up paddle board (SUP), a 2 person kayak, fishing gear and various inflatables. 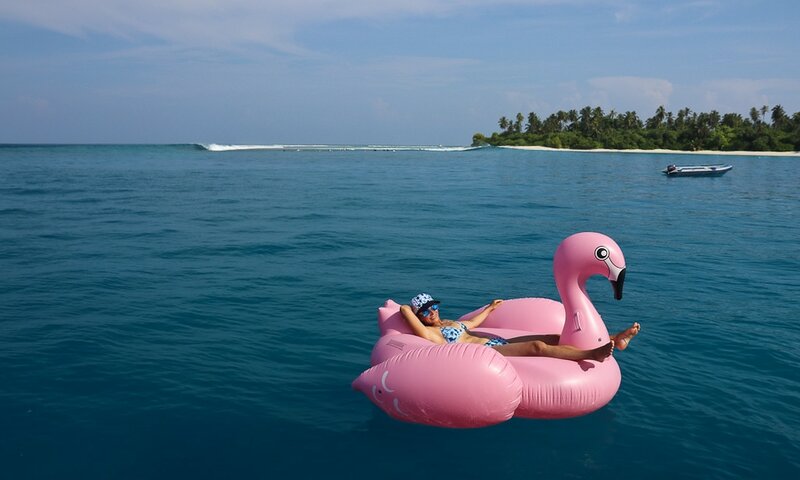 There is also an inflatable air sofa for those who would like to go chill on the beach. 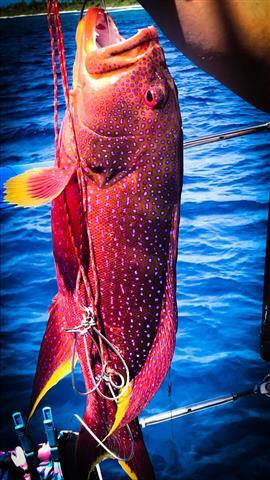 We have a good selection of fishing equipment on board, that includes trawling rods, casting rods and reef fishing rods, as well as some basic lures, skirts and jigs. 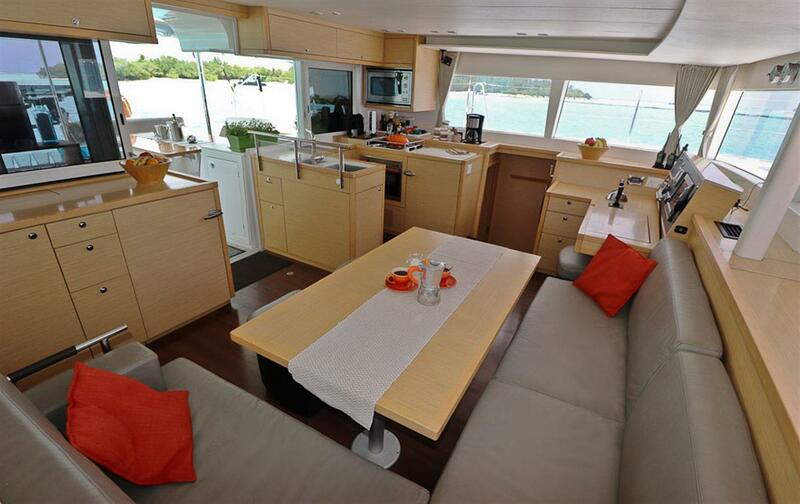 There is also a guitar on board for those who'd like to sit out on the front deck and strum. 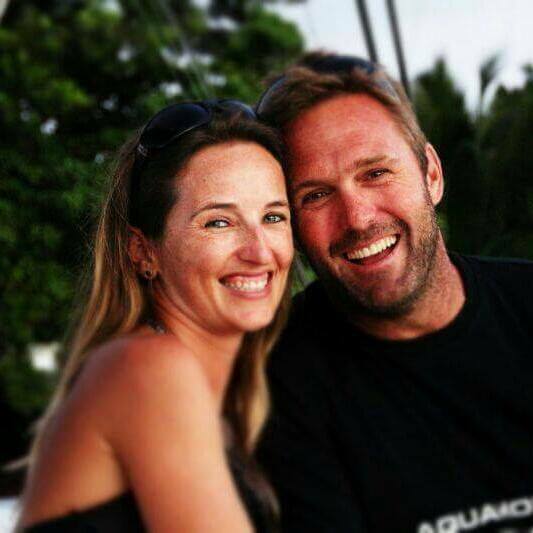 Your hosts are a friendly and enthusiastic South African couple, Kemble & Lindi. 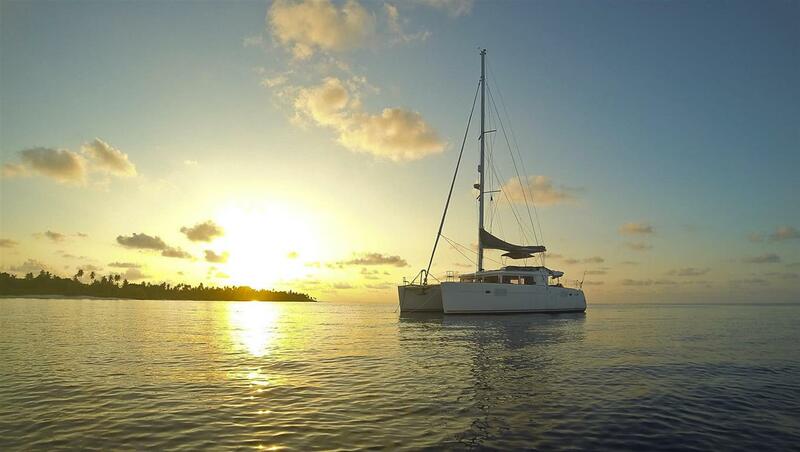 ​Kemble is an experienced RYA certified skipper, who is a keen fisherman and surfer. 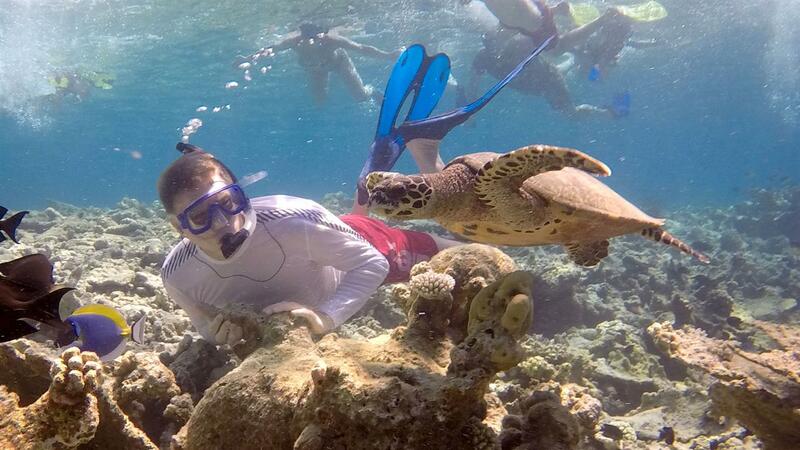 Having studied photography at university he will be taking amazing photo's of your holiday, whilst Lindi will ensure you enjoy some fantastic meals on your trip and guide you to all the best snorkeling spots.